Process points with PROC G3GRID. 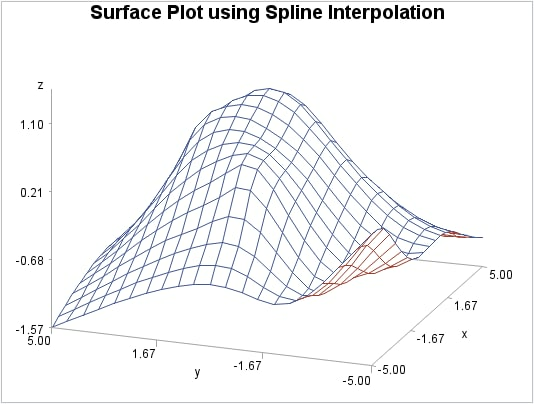 The SPLINE option specifies the bivariate spline method for the data set interpolation. 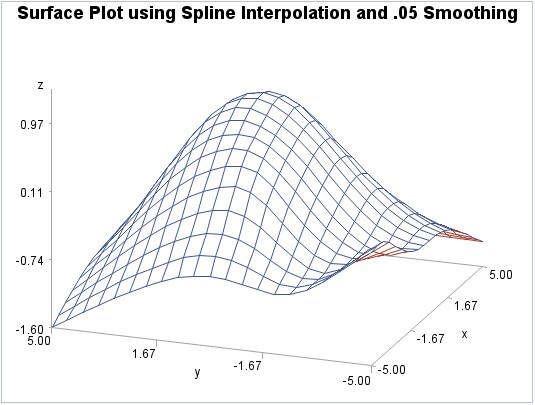 Process the data with PROC G3GRID.The SMOOTH=.05 option specifies the smoothing parameter to use during spline interpolation.